Hi, I'd like to show you this page I found on Gill Brothers Furniture's website. 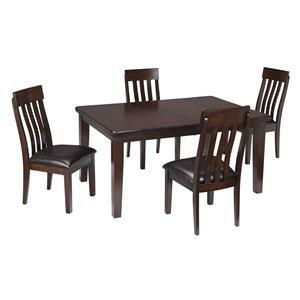 Make your dining space a contemporary one with this geometrically designed dining set. The smooth, round shape of the glass table top complements the crisp, metal lines of the hexagon shaped base and intersecting table supports. The circular table top shape also creates an intimate dining space that makes it easy for you and your company to converse and interact. With their "C" shaped bases of metal tubing and lustrous finishes, these chairs catch your eye too while their grid tufted seats and backs further play up their modern aesthetic. The chairs' polyurethane upholstery provides comfort as well alongside the contouring of their seats. 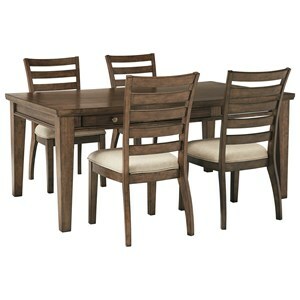 The Madanere Contemporary 5 Piece Dining Set with Glass Top by Signature Design by Ashley at Gill Brothers Furniture in the Muncie, Anderson, Marion, IN area. Product availability may vary. Contact us for the most current availability on this product. 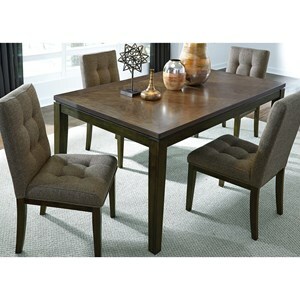 With its geometric elements and metal framing, this modern dining set adds a sleek look to your living space. 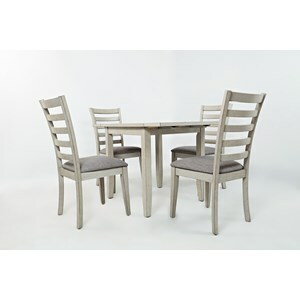 The contemporary design of the table and chairs only complements their function. The round shape of the glass tabletop creates an intimate dining space that makes it easy for you and your company to interact while the fully cushioned chairs keep everyone comfortable and having a good time for longer. 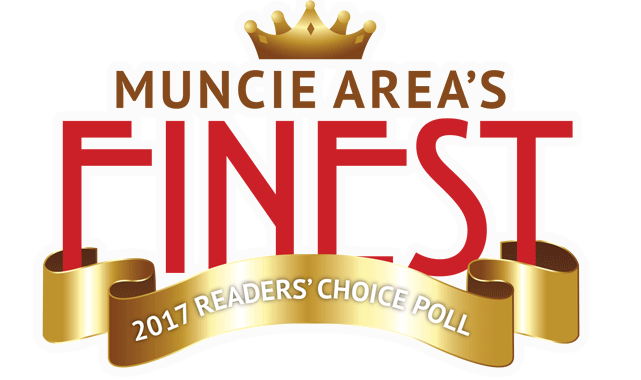 The Madanere collection is a great option if you are looking for Contemporary furniture in the Muncie, Anderson, Marion, IN area. Browse other items in the Madanere collection from Gill Brothers Furniture in the Muncie, Anderson, Marion, IN area. 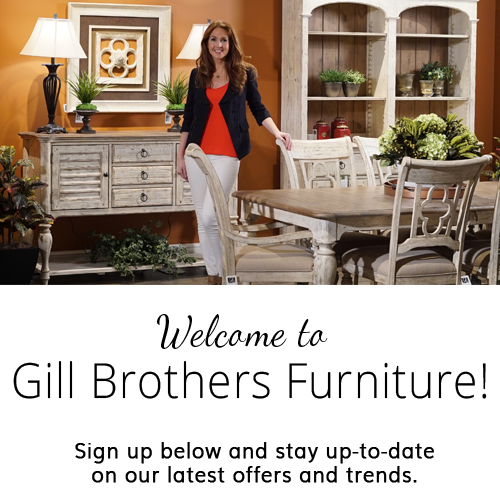 Gill Brothers Furniture features a great selection of living room, bedroom, dining room, home office, entertainment, accent, furniture, and mattresses, and can help you with your home design and decorating. 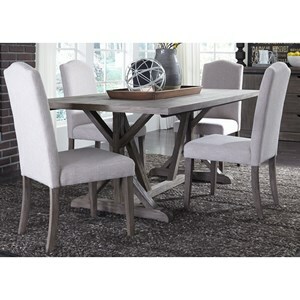 View recent additions to our online furniture gallery. 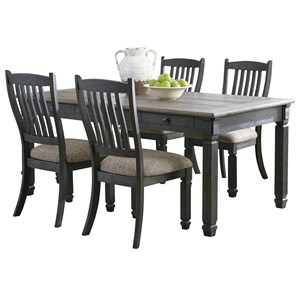 Gill Brothers Furniture offers great quality furniture, at a low price to the Muncie, Anderson, Yorktown, Marion, Pendleton, Fishers, Carmel, Noblesville, Castleton, Richmond, Fort Wayne, Greenfield, Upland, Indianapolis & East Central Indiana area.